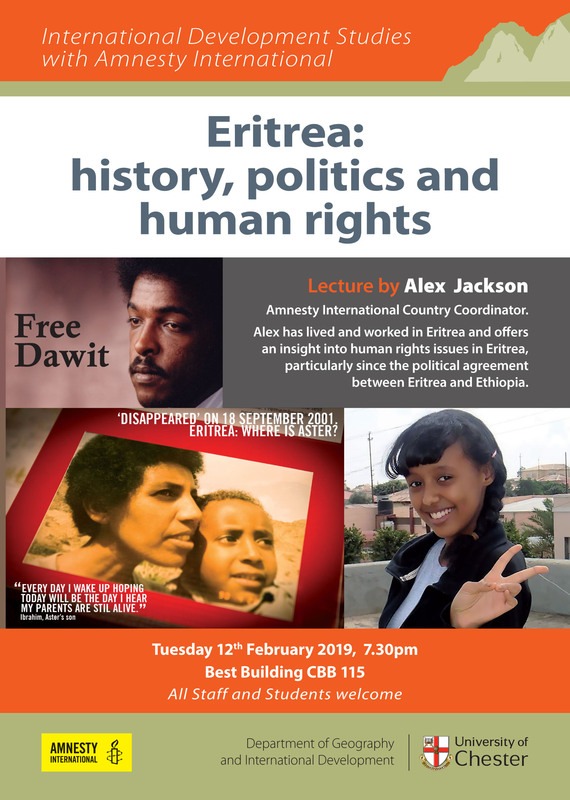 A lecture by Alex Jackson, Amnesty International Country Coordinator for Eritrea. He offers insights into human rights issues in Eritrea, particularly since the political agreement between Eritrea and Ethiopa. All staff, students and visitors welcome. For further information contact Gill Miller 07941 629236.